Younger families with children will find that there are multiple benefits to owning a house over a condominium. Deciding to buy a home is one of the biggest decisions you will ever make, and because of the long-term commitment that goes along with homeownership, it is certainly not a decision to take lightly. As you begin the process of looking for potential homes and analyzing your needs and finances, you will find yourself asking a lot of questions in order to find the home that is right for you. One of the most important questions all homeowners face is whether to buy a condo or single-family house. While on the surface a condo may seem like a reasonable option, especially for singles or couples without children, there are quite a few downsides to choosing to buy a condo over a single-family home. While not always the case, condos are usually located in city areas. While the convenience of a short (or possibly even walking distance) commute to work may be nice if you work in an urban area, the higher crime rates and higher costs are not as desirable. Many condos in city areas cost two to three times as much as single-family homes in the suburbs, and are often half the size. Condos typically charge a monthly fee for parking as well, which could quickly add up as your car sits idle due to the accessibility of your surroundings. By far one of the biggest advantages a single-family home has over a condo is the amount of privacy it affords owners. Living in a condo is a lot like living in an apartment; you can expect to have neighbors on all sides, and you can expect to live with the noise they produce. However, unlike an apartment, you own your condo and your neighbors own theirs, so you will probably be putting up with their noise for years rather than months. A single-family house offers a far quieter and more private living experience. When you own a house, you have the ability to control all decisions when it comes to the appearance and amenities, so long as you are in compliance with your HOA and safety regulations. If you want to paint the exterior of your house, you can. If you want to build a garden, you can. When you own a condo, you share decision making power with every other owner in the building. If you want the building painted, you need to bring together all of your neighbors to make that decision and agree on a color. If you want to add some kind of feature, again, it has to be a joint effort. While large condos certainly exist, they don’t provide nearly as much space as a house. You will probably end up with a space comparable to apartments in the area, give or take a handful of square feet. If you decide to grow your family, build a new home office or create a game room, a condo likely will not provide the amount of space you need to accommodate these decisions, and you will probably end up having to go through the selling and buying process all over again to find a place that meets your needs. Buying a house is essentially an investment that covers all planned and unplanned expansions in your life in the future. While there are certainly extra expenses that come along with owning a home, condos tend to have quite a few hidden costs written into the fine print. In addition to parking fees, condo owners can expect to pay a monthly maintenance fee for upkeep, which can increase annually, and a fee to the condo association. Additionally, it is important to keep in mind that if one owner in the building falls behind on any of these fees, it is up to the other residents to make up the difference, so consider whether or not you are willing to take on someone else’s responsibilities. Title insurance can protect the homeowner from issues related to title ownership. The purchase of a new home requires learning all about various aspects of homeownership (financial, legal, and practical) that can be overwhelming to a first-time homebuyer and homeowner. As part of our ongoing homebuyer tips articles, LGI Homes seeks to provide an easy-to-read and easy-to-understand resource that goes in-depth on a variety of subjects connected to buying a home. Today, we explore the world of title insurance, and how it will play into your experience of buying a home. Don’t Hire a Moving Company Until You Read This! Title insurance is a policy that protects against losses that could arise from problems connected to the title to your property. Before you became the owner of your home, it may have gone through a handful of ownership changes. Even if you are buying a newly constructed home, the land on which it sits may have gone through changes of ownership over the years. There may be a weak link at any point in the chain of ownership that could emerge to cause trouble. For example, there may be unpaid real estate taxes or other liens on the property. Title insurance covers any claims and legal fees that arise out of such problems. If you are financing your new home with a mortgage, you will be required to obtain a title insurance policy equivalent to the amount you borrow on the loan. The policy is then required to be held until the loan has been repaid in full. How long is the property protected with title insurance? Title insurance lasts for the duration of ownership. This includes the buyer who took out the policy and any heirs. If the home is ever sold, the current policy ends and the new owner will be required to obtain a new policy. Is there anything title insurance doesn’t cover? It is important to note that title insurance does not cover equity, a separate owner’s title policy is required for that. Title insurance also does not cover claims that arise after you purchase your home, such as problems related to identity theft, neighborhood land disputes or issues with contractors. Unlike other insurance policies that cover the future, title insurance covers the past. Essentially, the policy “ends” the day you obtain the policy and extends backwards in time indefinitely. The rates for title insurance vary greatly across the country, but typically speaking, these policies are affordable because they deal in preventing loss rather than paying claims. Many states regulate the cost of title insurance to keep rates affordable. Can I purchase title insurance on my own? 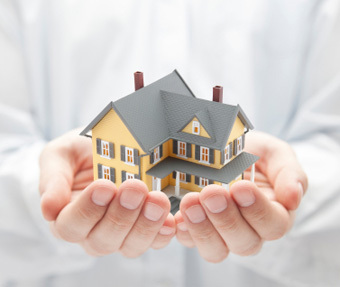 Owners have the right to purchase their own title insurance, but many choose not to invoke it. Many owners leave this task to their lender or attorney. Does title insurance rise with the value of my home? No. Additional policies are needed to cover any rises in value of property. Do I ever need to take out a new policy? Possibly. In the event you choose to refinance your home, a new title insurance policy will need to be secured. There are multiple benefits to having a homeowner’s warranty, including protecting yourself from an unforeseeable circumstance. 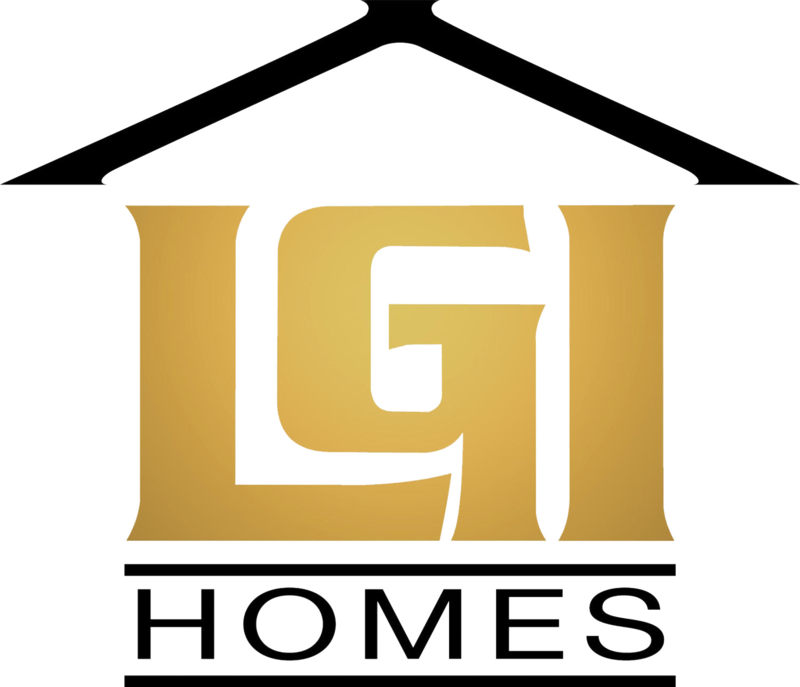 When you make the decision to purchase a home from LGI Homes, it is important to know that we have three different warranties available to you; a 10-year structural warranty, a 2-year mechanical warranty and a 1-year warranty that covers most other components. These warranties have been designed to ensure that you are completely satisfied not only with your purchase but with your overall living experience within one of our communities. We offer these warranties to make sure that any problems you have covered by the warranty are attended to quickly. In order to better understand just how important a home warranty is, it is important to know the various advantages a warranty can provide. When you think about protecting your home and assets from unforeseeable circumstances, you probably think you’ve got it covered within your insurance policy. However, insurance typically only covers major perils resulting from a fire, break-in, tornado or other major events that impact your entire home. Insurance doesn’t cover the far more likely unforeseeable things that can happen in our lives, such as a sink breaking down or a heating unit that seems to be out of commission. This is where a home warranty comes in. Home warranties are designed to supplement your insurance to make sure that your home is fully protected. When you have a home warranty and something in your house fails to work, you can rest a little easier and stress a little less about how to afford the necessary repairs. Depending on the type of warranty you choose, you could have everything from your electrical and plumbing systems to your washer and dryer covered. Typically, you will only need to pay a small service fee for repairs needed during the period of the warranty. This can add up to significant savings on your part, especially if an expensive repair is required. Chances are, your funds will be a little low immediately after buying a home, and you probably will not have the money needed to make repairs right away. A home warranty provides peace of mind while you work on returning to your normal financial situation, as you will probably not be footing the bill if something breaks. A home warranty can protect any emergency funds you have been saving up, as they will likely not be needed to make most of the repairs needed during the period of the warranty. The investment in a warranty can allow you to save more money and minimize the need to dip into your savings. If you’re on the fence as to whether to buy a home or not, take a moment to read over the following benefits to homeownership. When you are looking into the possibility of purchasing your first home, you are probably looking at common benefits such as tax deductions and the pride of ownership that comes with having a space that is truly yours. However, those are far from the only major benefits that go hand-in-hand with owning a home. A number of hidden benefits come along ownership, many of which can serve as an incentive to kick your landlord and your lease to the curb and take the plunge into buying your first home. Homes are considered a steady investment because the value steadily rises while the debt drops. The median home price has risen steadily every year in the United States since 1968. Typically, the value of a home appreciates at the rate of inflation plus 1 or 2 percentage points, though sometimes it’s a greater increase than that. For example, if you can make a 10% cash down payment with an annual home appreciation rate of 5%, you can expect a 94% return on the cash after three years of owning the home. After five years, the return increases to 225%, and after 10 years, you might be looking at a 623% return depending on the market. If you’re used to renting, it’s likely you’re also used to the price of your rent going up each time you renew your lease. When you rent, you realistically have no idea what you’ll be paying in several years to occupy the same space. When you purchase a home with a fixed-rate mortgage, you will essentially have the same payment every month for up to 30 years. Even if you have an adjustable rate there is a cap and you can figure out the maximum mortgage payment you could be looking at several years down the line. The portion of property that’s actually owned, or equity, also rises over time. As you make your monthly payments, you get one step closer to fully owning the property you occupy each year you live there. You can’t build equity if you are a renter, and no matter how many years and how much money you invest into keeping a rented roof over your head you will never be any closer to owning that space than you were the day you first moved in. For example, you could rent a house for 10 years, spend upwards of $1,000 a month to live there, and when all is said and done, you have essentially thrown $120,000 away and have nothing solid to show for it. After 10 years at that rate, you could have built enough equity to fully own a property. When many builders, including LGI Homes, offer brand new homes for less than that, it really puts it into perspective. Interested in painting your kitchen? Have you always dreamed of having a koi pond in the backyard? If you rent, you’re unfortunately out of luck on both accounts. Renting offers little-to-no freedom when it comes to design and décor beyond some landlords offering to paint an accent wall in one room upon move in. When you own, you can essentially do almost anything you want with your home. You can install tile to your heart’s content in the bathrooms. You can cover the walls with every wallpaper design available at the hardware store. Any plans you have ever had for your dream home” can become a reality, something that could never happen when renting.